New Delhi, 7 August 2018: ITC has received several accolades at the prestigious SABRE Awards South Asia 2018, which is considered one of the world’s largest and most coveted PR awards programme today. The SABRE Awards for South Asia this year was recently held in Delhi. 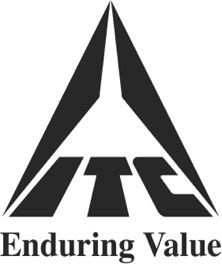 ITC Foods, in association with its media partner Madison Public Relations, won the SABRE Diamond Award in ‘Superior Achievement in Reputation Management’ for its campaign – ‘A Viral Truth – As pure as a Blessing’. The campaign centred around managing the reputation of India’s No. 1 atta brand Aashirvaad in the face of malicious attempts to tarnish the image of the trusted brand through false videos on social media. Apart from this, a blogger-led PR campaign for ITC’s leading notebook brand Classmate won the SABRE Gold award, while an experiential media trail to showcase ITC’s “India First” philosophy won a Certificate of Excellence. Both these campaigns were driven in association with ITC’s media agency First Partners. Another campaign aimed at promoting women’s rights by ITC’s personal care brand Vivel, in association with PR Pundit, also bagged a Certificate of Excellence. The SABRE Awards, delivered by The Holmes Report, the authoritative voice of the global public relations industry, recognises superior achievement in branding and reputation in North America, EMEA, Asia-Pacific, Latin America, South Asia and Africa. The campaign titled ‘The Viral Truth – As Pure As A Blessing’, which won the SABRE Diamond Award for Excellence in Public Relations in the C-Suite focused on a 360-degree PR strategy to protect the reputation and trust of millions of Indian consumers on the Aashirvaad atta brand. Several mischievous videos, widely circulated in social media, made the false claim that Aashirvaad atta contained plastic, while in reality, the ‘plastic-like’ substance found in the atta was actually wheat protein – a naturally occurring substance in wheat flour. The campaign encompassed multi-dimensional PR initiatives, which included activities to prevent the spreading of false and misleading videos on social and digital platforms, making consumers aware of the truth and thereby alter perceptions, educating media and initiating favourable press coverages, building industry consensus leading to collective actions, and so on. ITC also won the SABRE Gold Award for an innovative PR campaign linked to its market leading ‘Classmate’ brand of notebooks in the ‘Consumer Products / Services’ Category. The campaign titled: ‘Classmate: Much more than a Notebook!’, was aimed at creating excitement around Classmate notebooks and elevating them as a showcase of child’s creativity and individuality. The challenge was addressed through Classmate Shop – a unique personalisation service provided by ITC Classmate brand for its consumers. The campaign drew on the expertise of child psychologists and ‘mom’ bloggers and went on to become a success with the classmateshop.com portal witnessing a large number of visits during the campaign period. The campaign focused on a key differentiator – ‘CREATE’ the front cover of the notebooks as an extension of one’s own persona and imagination and link this creativity to the changing aspirations of a child – an increasing need for personalization and a natural flair for technology. In addition to these two awards, ITC’s ‘Winning with India First’ campaign, an underscoring of the company’s overarching and steadfast commitment to the nation as manifest in its ‘India First’ credo, bagged the ‘Certificate of Excellence’ in the ‘Corporate Image’ Category at the SABRE awards. ITC’s Vivel #AbSamjhautaNahin also won Certificate of Excellence for its campaign ‘Know Your Right’ – an initiative to drive awareness on women’s rights.